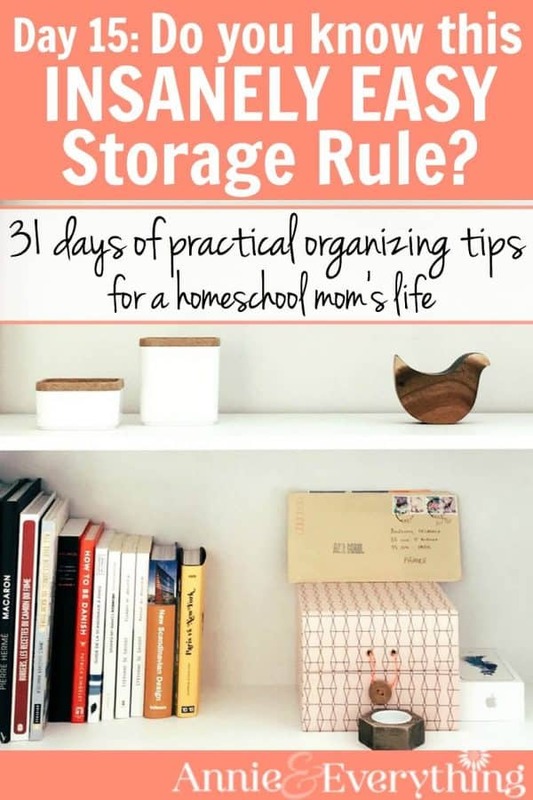 Home » Cleaning, Organizing, & Time Management » Day 15: Do You Know This Insanely Easy Storage Rule? 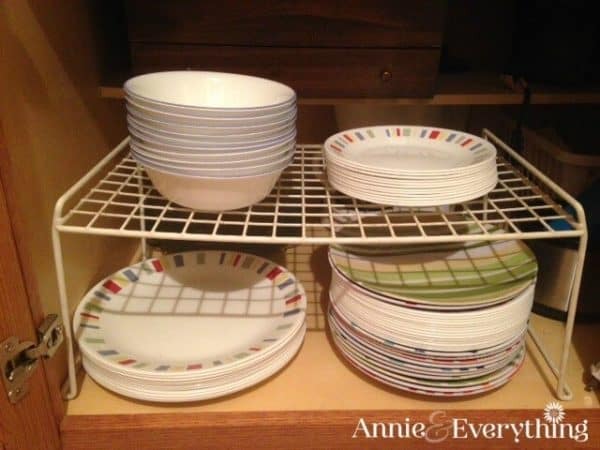 Do you store your plates in an upper cabinet? What happens when you need to get a whole stack of them out? Do you attempt to grab a bunch of them and hope you don’t drop them on the way down to the counter, or do you take them out two by two? And what happens when your 8-year-old, who isn’t tall enough to reach them but is old enough to get a snack for himself, needs one? Do you hear “Moooom!” in the other room where you just got comfy with your blanket and a good book? Today’s tip isn’t necessarily a new one. In fact, it’s gonna be another one where you’re like, “This should be obvious to anyone with a brain.” But you’d be surprised how many people violate this rule. You’ll see what I mean in a minute. 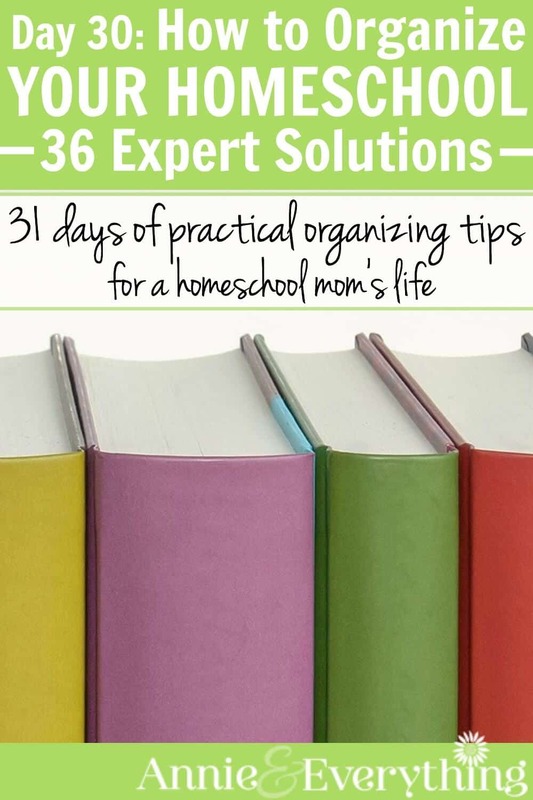 On Day 5 I discussed the idea of making things easy to get to and easy to put away. Implementing that strategy can really make a difference in how smoothly your life goes. And it has many specific applications, one of which is our tip for today. Here’s the insanely easy storage rule: store heavy things low and light things high. I have a wire shelf thing that sits in the lower cabinet of my island, so I can keep three plate sizes and the cereal bowls down there. This is also an example of the principle from Day 3, put things near where you use them. The island is right across from my dishwasher, so when the dishes are clean it is very easy to pick them up, swivel just a tad, and put them away. Other heavy things that are stored low in my kitchen: my mixer and my food processor. My cast iron pans. Tupperware containers of sugar and flour. Glass mixing bowls. The bags of pet food. You get the idea. Around the house, my sewing machine is stored on the floor of my linen closet. Trying to get that thing off of a shelf, even the lowest one, would be very difficult. When I buy one of those huge boxes of laundry detergent, it gets stored on the floor by the washer. I can lean over and scoop some out very easily. The shelf above the dryer, where I store all the other laundry supplies, is NOT the place for that stuff! Other light, high things in the kitchen: Boxes of tea. Spices. Mason jars (I have a collection in the cupboard above the microwave). Extra rolls of paper towels. Paper plates and napkins. Our medicine stash. Cereal boxes. In the closet in my bedroom, the empty suitcases are on the top shelves. First, because I don’t use them that often; second, because they are light and easy to get back up there when I am done using them. Our board games are stored on the shelf above the hanging rod in the coat closet. This way they are near the common areas, which is where we play games, and they are not heavy. In the laundry room, the empty cheapo styrofoam coolers that you can buy for just a couple bucks are on the top shelf. One of the things that I still have stored in an upper cabinet, on a higher shelf — and I hate it there — is my 9 x 13 glass baking dish. Inside it are stacked two smaller glass dishes. And it is SO HARD to get down the 9 x 13, because first I have to take the whole heavy stack down and then put the other two back up there again. (See, even I’M breaking the rule!) I definitely need to find a better place for it. (I wonder if I can switch it out with those plastic cups somehow…) Do you have anything like that in your house, something that is a pain to get down from a high place?? Take a look around. 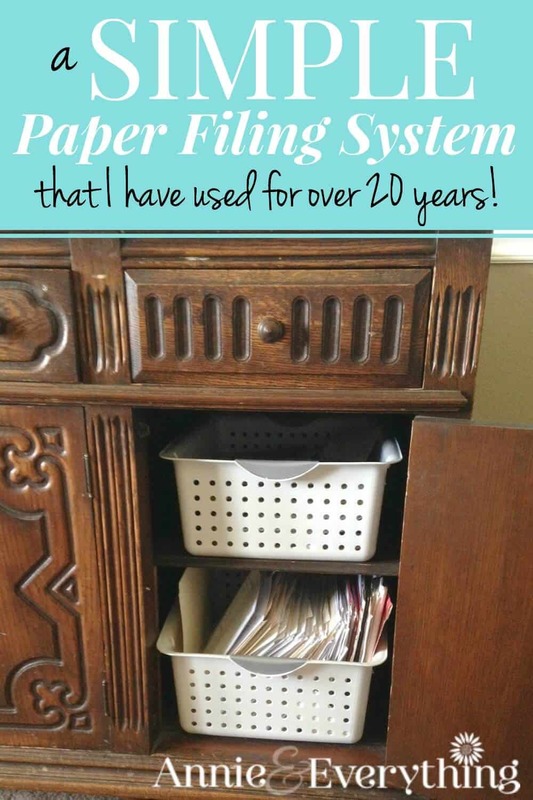 Find a lower place for all those heavy things stored higher than is convenient. If there are light things stored low — especially if they are somewhat big in size — find a higher place to put them. 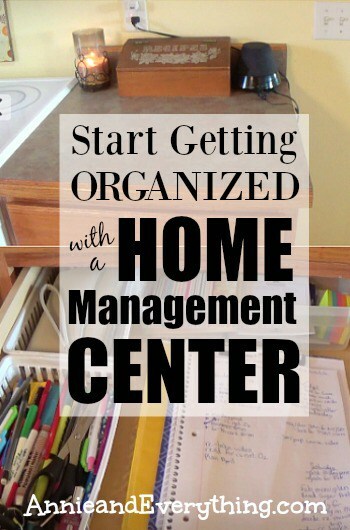 Making things easy to get out and put away is one of the most effective organizing techniques out there! 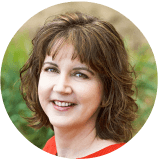 It seems like an insignificant strategy, but once you put it into practice, you will see how powerful it is and how much easier it makes many everyday things you do. I promise!